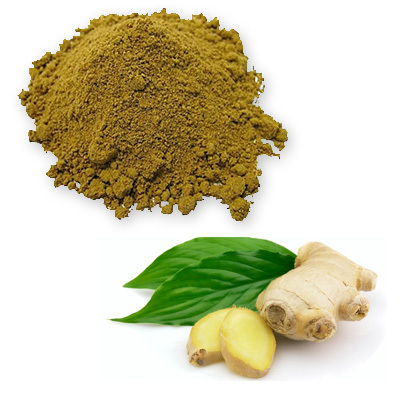 Ginger usually comes from Jamaica and its name means "horn root" translated from the Sanskrit. Though it smells very spicy, the flavor is a combination of sweet and peppery. Recently, this root has edged its way into more mainstream cooking, but originally it was most frequently found in Asian and Indian cuisine. Ginger was probably the first Oriental spice to make its way westward. The underground stem or rhizome of a plant native to India and China, but now grown in many places, this is the single most important form of flavoring in Chinese cuisine and is sold fresh, preserved, pickled, sugared, dried, grated, shaved and ground. Use fresh in Chinese fish and meat dishes, vegetables (onions and artichokes), dried beans, in curries and stews. Use ground over melon and grapefruit, in soups, fish dishes, chicken dishes, meat stews, sweet sauces, fruit pies, pumpkin pie, stewed fruits, gingerbread cakes, cookies and chutneys. Ground ginger is most commonly used in European and American cooking in baked goods - more and more, however, even mainstream cookbooks call for the freshly grated version. Ground ginger (think gingerbread) is much different in flavor than the fresh kind, and the two should not be substituted in most baked goods. Although lacking the characteristic zip of the fresh form, ground ginger does make an excellent addition to soups and curries, as well as some occasional holiday sausage recipes.